Anywayanyday.com — a great online service for buying air tickets and booking hotels. Many of us have to make decisions quickly regarding hotel reservations and ordering tickets. Mobile application Anywayanyday will serve as an excellent tool for solving such tasks. Featuring pleasant and friendly interface, the application allows in the shortest possible time to find the necessary flights and accommodation in all directions, with departure from any airport of Russia and the rest of the world. The appearance of the app is really pretty and neat, and the interface is laid out in such a way that it could be of any sort. The program is not overloaded with buttons, all of strictly the case, and support gesture control helps to make the Fights even more enjoyable. At the start of the program, we see a calendar in which you want to specify the dates of arrival and departure. Ask search of tickets using a voice input. The app allows you to easily select tickets based on price, number of stops, class of travel, departure airport and arrival and many other factors. These filters can be set at any time, without any difficulties. To facilitate the process of ordering tickets, the developers decided to do automatic detection of your location, thus reducing the number of steps when ordering. Booking tickets with this app allows users at any time to cancel without loss of money and time, but this is possible only for those users who have at least once made an order through the service. Payment can be cash phone and Bank card — depending on how the user wishes to make a purchase. After issuing a ticket the user receives an itinerary receipt by e-mail and payment notification via SMS. With regard to reservation of seats in hotels, the functionality is much wider than any other similar app: filter by number of stars, price, services, type of accommodation. Booking of places in hotels became available on the tablet only in this, the latest version of Anywayanyday, in addition, in some areas you can see colorful images of cities with their main attractions. Each hotel has a detailed description that includes location data, prices and services. You can view information about any of the hotels, but also photos of the hotel and rooms. The application has two modes of display proposals for accommodation: a list or on a map. In a private office we are waiting for a notebook, a list of orders, payment card data, user account and user's personal data. It is also Interesting that the developers claim Anywayanyday — through the app when paying for the order you can apply multiple discounts at once. If you have any problems or questions when working with the app, you can easily contact the support team by free phone, or you can send a message right from the app. In short, it is seen that on an application the considerable work to make it as friendly, comfortable and informative, so you easily can plan your vacation just a couple of clicks. Have a nice stay! 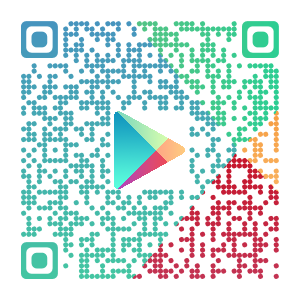 Install "Anywayanyday" through the Google Play Store.